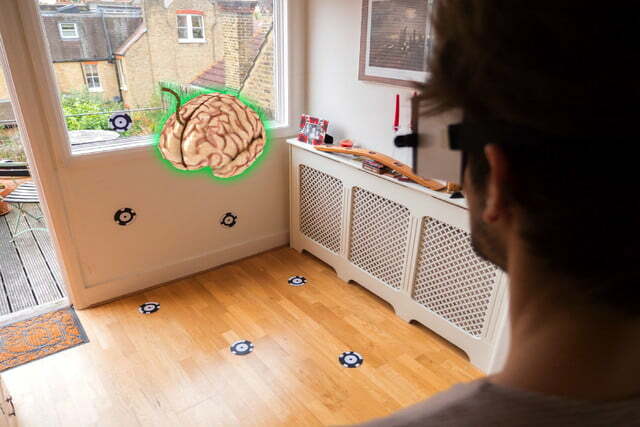 There are probably quite a few things 2016 is going to be remembered for when the history books are written — and one of them will be as the year when augmented reality truly hit the mainstream, thanks to the ultra-successful Pokémon Go, and when we were properly introduced to mixed reality through Microsoft’s HoloLens. If you’re done with Pokémon Go, like the idea of mixed reality but can’t stretch to the thousands of dollars it costs to secure a HoloLens; then try Zappar’s ZapBox, which is available through a Kickstarter campaign. 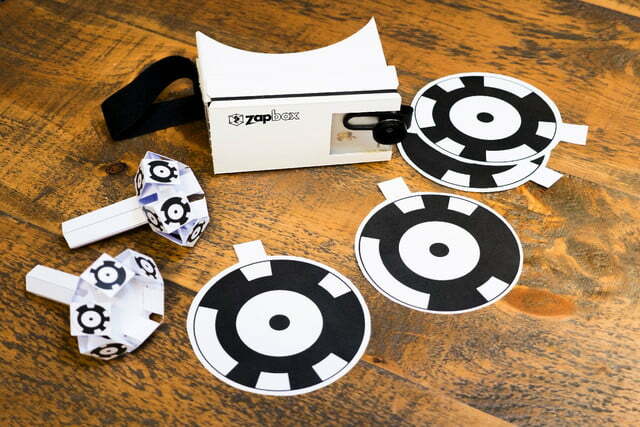 ZapBox styles itself as an affordable way to experience mixed reality and room-scale virtual reality using your smartphone. It gives you a Google Cardboard-style solution for, quite literally, a hundredth of the cost. It’s just $30. Although still in its early stages, we had the chance to try out the ZapBox, and are pleased to report it has considerable potential for the future. If you’ve used Google Cardboard, you’ll know what to expect here. The headset looks very similar, and can either be held up to your eyes, or used with a basic velcro strap around your head for apps that require you hands to use controllers. An iPhone 6 was inside the headset, and because it was used without a wide-angle lens attachment, the view through the screen was letterboxed, but still usable. The phone recognizes special point codes, which look like circular QR codes, all set out on a table in front of it to map the mixed reality world. The first demo eased us in gently, showing a cartoon rabbit pop out of a hole in the table, before moving on to a virtual representation of a building, where daylight and nighttime modes could be activated using the controller. The controller is actually a self-assembly item made out of cardboard, and it slips over your finger for in-app use. It also has point codes around it, allowing the phone to track it in the mixed reality world. Finally, we tried out a painting app, where the controller painted colourful lines in 3D space. It worked surprisingly well, and had the same “wow” effect as the HTC Vive’s Tilt Brush demo, where you can walk around your creation and see it from all angles. The demos, while rough around the edges, were engaging, fun, and made us smile. That’s pretty important, and crucial if we’re to return to it after the first try. 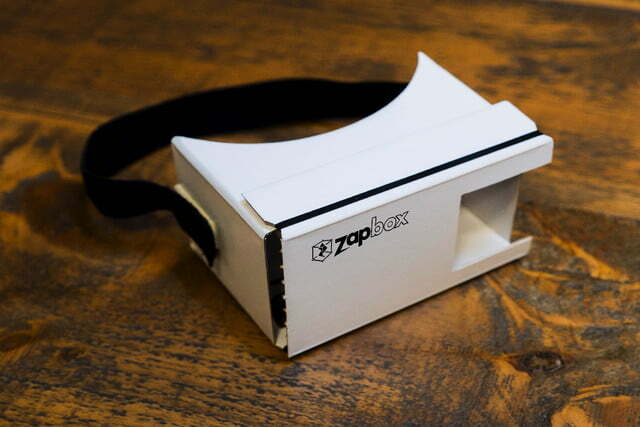 ZapBox is to Microsoft’s HoloLens what Google Cardboard is to HTC Vive or PlayStation VR; but this isn’t a bad thing. Google Cardboard is the port of entry to VR for many people, thanks to the variety of fun apps and 360 degree video available for it. 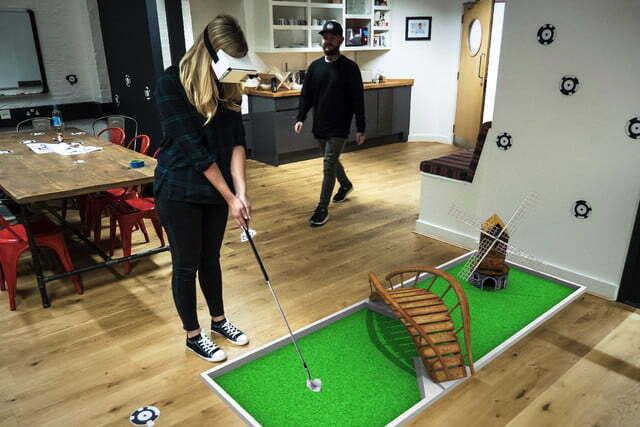 ZapBox has the potential to introduce many to mixed reality in the same way. No, it’s not a tech powerhouse like HoloLens, but it cost $30. “The experience is way better than it has any right to be for something that costs so little,” Zappar co-founder Simon Taylor joked to Digital Trends, and in a very exciting way, he’s right. While ZapBox plays and looks like a development tool at the moment, and arguably is best suited for someone planning to create apps around it, tech fans shouldn’t dismiss it. There’s way more than $30 of fun here now, and if the hundreds of developers that have opted for early access to ZapBox work hard, there should be a few more apps and games to try when the final consumer version ships out. 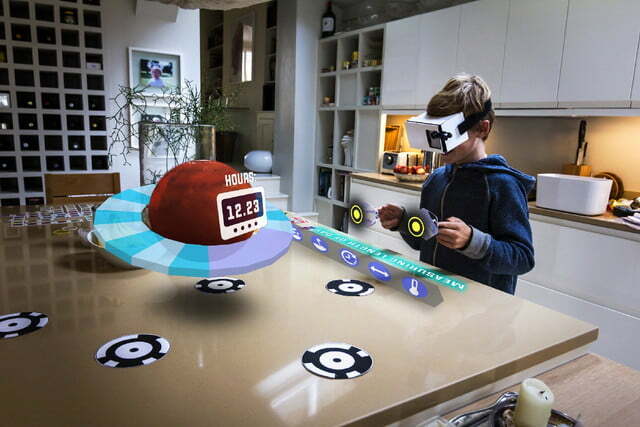 The apps it comes packaged with are only the beginning, and backers who spend that little more get access to Zappar’s SDK, ZapWorks, which lets them create their own augmented reality apps. When we tried out ZapBox, the Kickstarter campaign was close to its goal, and the team is confident that not only will be funded, but delivery dates will be met. Should you get in on the action? Provided you expect Google Cardboard and not HoloLens, yes, you should, and we think you’ll be very happy with your ZapBox.